Smart will phase out all combustion engine versions of its cars by the end of this year. Should Mini adopt the same strategy?Electromobility is an excellent fit for our urban, progressive and open-minded customers. The success of the Mini Countryman plug-in hybrid, which accounted for 13 percent of the model's global sales last year, demonstrates that. To secure the long-term future of Mini, we will enable the range to be all electric, should the customer prefer that. That means Mini will continue to sell cars with combustion engines, right?The key issue is we do not know how quickly electric mobility will spread, so it was strategically important to leave this option open depending on the circumstance. Let me be clear, though, there will not be a single Mini model we plan to launch that a customer won't be able to order with an electrified drivetrain. The joint venture we founded in China together with Great Wall Motors is in part to ensure that. 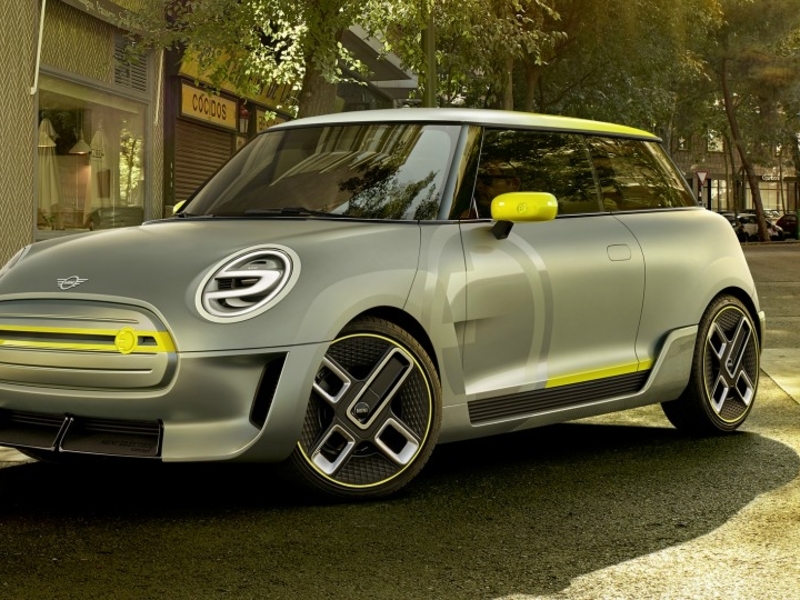 Will this electric platform you develop with your new Chinese partner serve as the sole architecture for all future Minis?No, we will also see Mini models built off a separate BMW platform -- electric ones, too. Will the Minis built with Great Wall only be for customers in China?An export option is entirely conceivable. In principle, these cars were designed to be sold outside of China as well. In February, BMW and Daimler announced plans to invest 1 billion euros in a mobility services joint venture. How long do you expect this amount of cash to last?We shouldn't view this issue through the same lens as our traditional business, where you invest a certain sum, there is a defined start of production and so on. It could be that tomorrow one of our services has an idea that wasn't part of the business plan and then the funds are exhausted more quickly. It's also possible the funds last longer than expected because attractive opportunities don't materialize. Market conditions change much more rapidly in this sector than in our more traditional business areas. While some pundits believe mobility schemes will reduce car ownership some road congestion studies suggest that these services actually worsen the problem. Which view do you agree with?The research results are mixed, but some studies show that in individual cases that overall traffic volumes can increase. Cities are now reacting by regulating these services more closely. As a mobility provider, this is an issue we need to solve. Ultimately, we will be able to address this far more efficiently once fully autonomous cars arrive sometime in the next decade. Mini sales slid nearly 3 percent last year to roughly 360,000 vehicles. What can we expect from the brand this year?We expect to see Mini volumes stable at the high level of 2018.